Become an Exhibitor Book your stand for the Stone+tec 2020 now. See just how successfull Stone+tec is! Our review gives you the key facts and figures in clearly arranged and compact form. 17 - 20 June 2020. Save the Date! We look forward to seeing you again at the next Stone+tec. Watch the film! 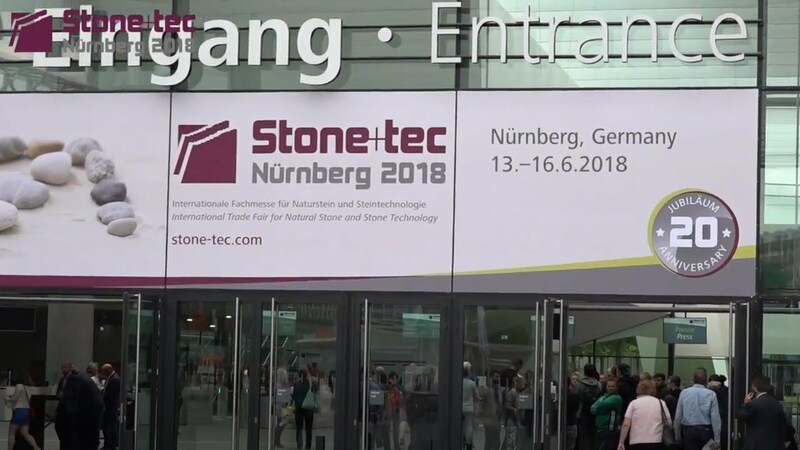 We visited the Stone+tec 2018. Did you do that too? Stone+tec Newsroom Here you can find interesting information about the exhibition and the market.